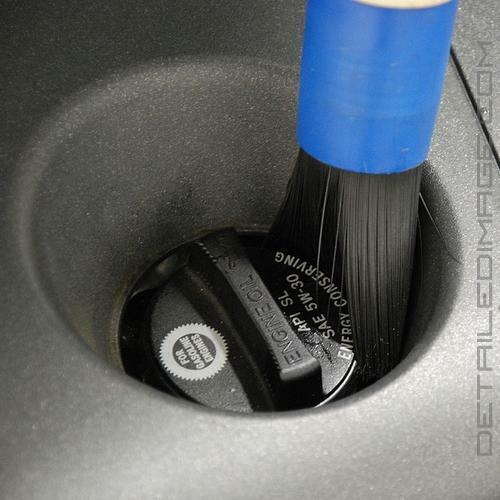 Versatile brush can be used on your interior or exterior surfaces! The ATLASTA Soft Tip Brush is a versatile tool that you can use for various cleaning jobs! 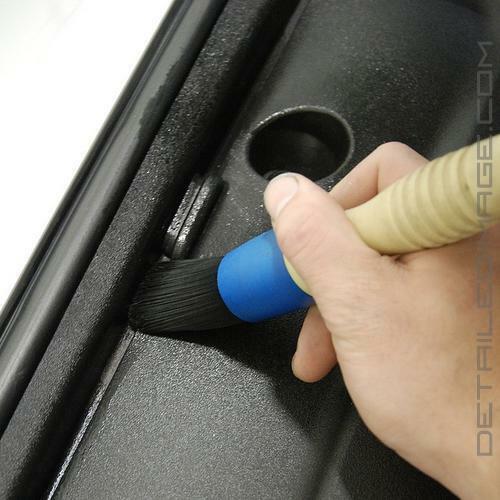 The innovative bullet-shaped tip is made of soft, tapered polyester filament that won't scratch the delicate surfaces around your car. It will hold it's original shape as the bristles have an incredible ability to flex while in use but remain rigid in their original shape afterward. Other brushes will often fade and lose their original shape but this one will truly last. This high quality brush measures 9.75" at a weight of 4.3 oz, and it will hold it's shape in both water and cleaning solutions. 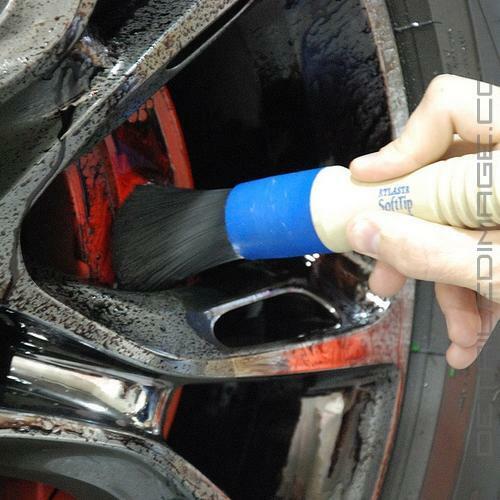 It works great on not only the exterior of your car and wheels but also the interior as well. 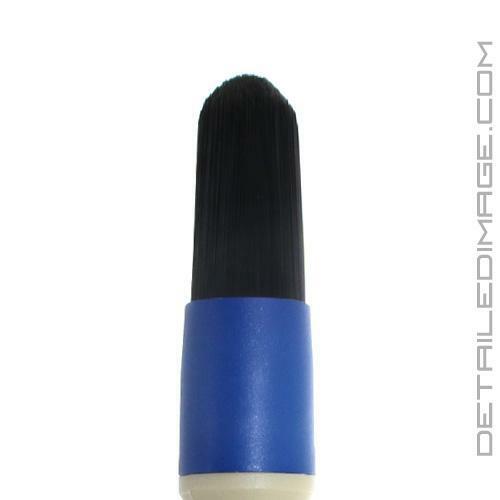 Use this brush in between spokes, around lug nuts, rivets, lips, emblem, grill, seams, vinyl trim, bumpers, etc. For the interior use it to remove dust from areas such as the vents, shifter knob, buttons, console, trim pieces, seats and so much more. 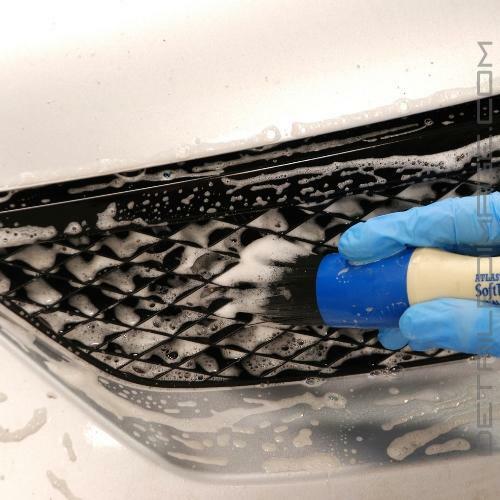 Pick up the DI Brushes ATLASTA Soft Tip today and keep the various nooks and crannies on your car clean! First off the construction is awesome! I have no doubt at all that this brush will last and it doesn't look like there is any chance of it falling apart in the future. After testing out this brush, I had suggested to Detailed Image that they should add this brush to their line. Sure enough they did! Excellent quality and a must have! Had one of these brushes for many years never thought I would find another one. Great for lug nuts and will hold its shape for years and years. Two thumbs up. Very versatile and comfortable brush! Really changing the game while being stiff and soft to make stuff like cleaning cup holders a breeze! The only negative is that it is alit too big and be hard to use in certain areas! I love you guys...I don't go anywhere else for car detailing stuff anymore!